Turn your bike into a travel bike that packs easily into an airline regulation case. We can retrofit S&S couplers into your titanium or steel frame to make it a great travel bike. 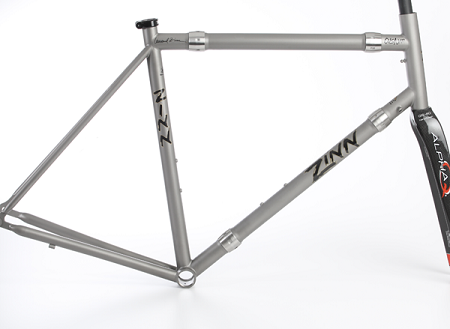 Zinn Cycles employs the very best framebuilders in the business so that you can be sure the quality of workmanship will be of the absolute highest quality. Special skill and care is needed when cutting into a frame and installing couplers to guarantee safety and perfect fit. You can be sure that your bike will fit and ride the same if we do the installation. We can also assure you that your bike will be completely safe to ride for the rest of it's life. Price includes couplers, labor, cable splitters and coupler wrench.